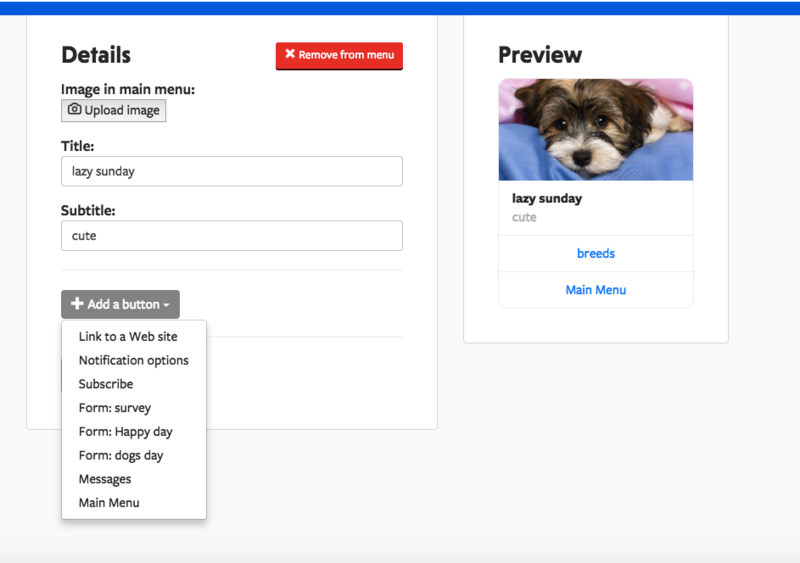 The Custom feature allows you to create a custom menu item that links to the website of your choice. 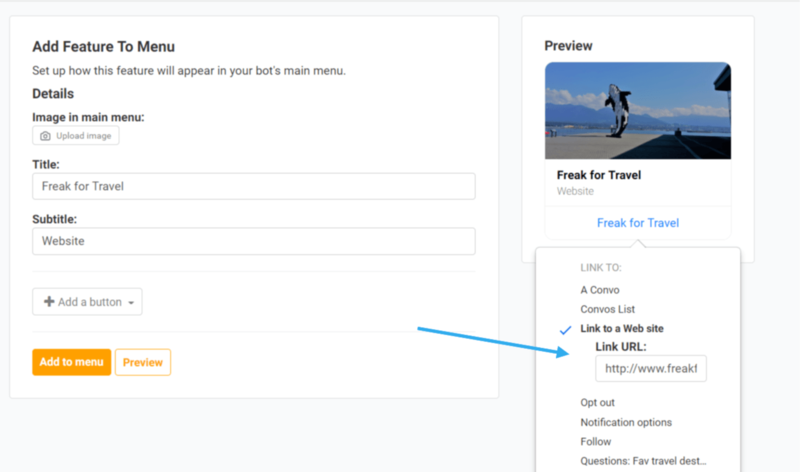 In the Custom feature, you can add a button that will lead to any of your already created items or link to an external website, just by selecting it in the button dropdown. 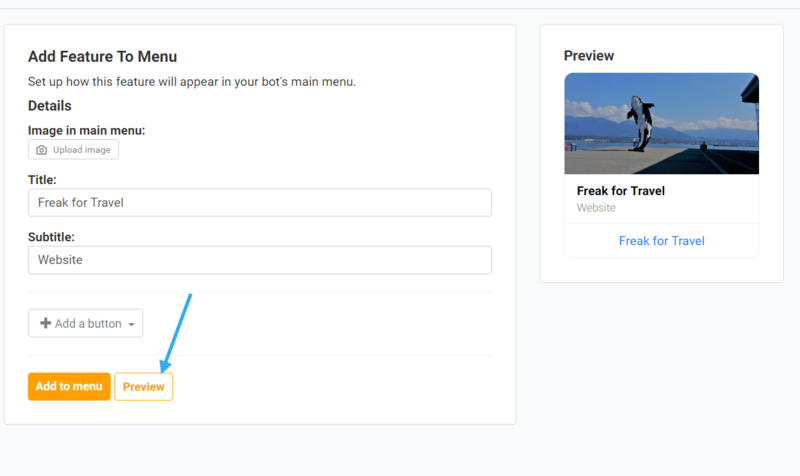 For an in-depth explanation of this feature, read this blog.